Week seventy seven and what a week it has been! 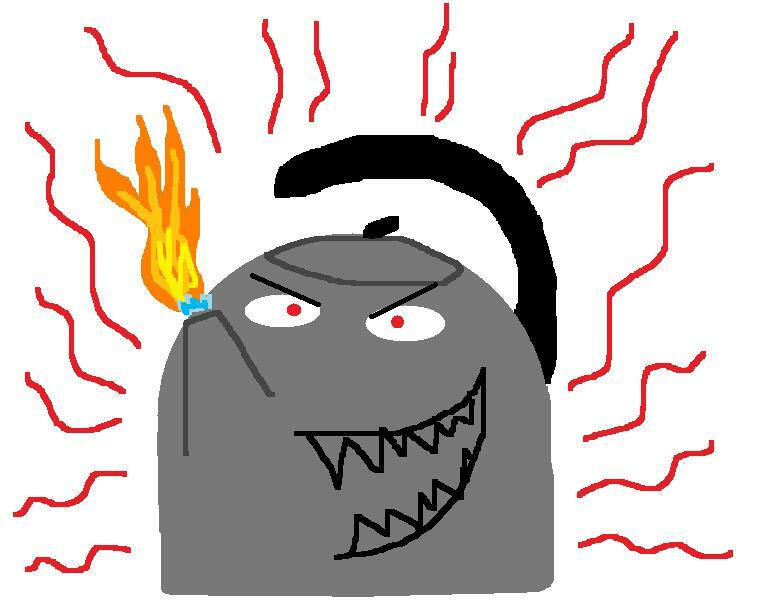 I had returned to work on half days and was thoroughly exhausted and hubby had a rather unpleasant encounter with a hot kettle! Plenty of wet towels, an ambulance ride and a six hour wait in A&E and we eventually got home. Not the ideal evening I had planned curled up on the sofa with painkillers and my trusty hot water bottle but needs must. I am now a dab hand with Jelonet and latex-free bandages…more skills to add to my repertoire! I picked up Mary Berry’s Baking Bible with a heavy heart this week given the recent events and the fact that I seem to be eternally tired while I continue to recover from my op. I scoured through Mary’s recipes trying to summon up some enthusiasm and having given up on that, settled on gingerbread and fork biscuits. The gingerbread recipe was quite simple and was one of her ( I am eternally grateful) throw everything pretty much in a bowl and mix. The only variance to this was adding the bicarb and milk to the mix and beating it in. I then poured the mix into my prepared tin and into the oven it went. I had to set the timer for an hour and then after an hour, turn the oven down and bake for a further half an hour. 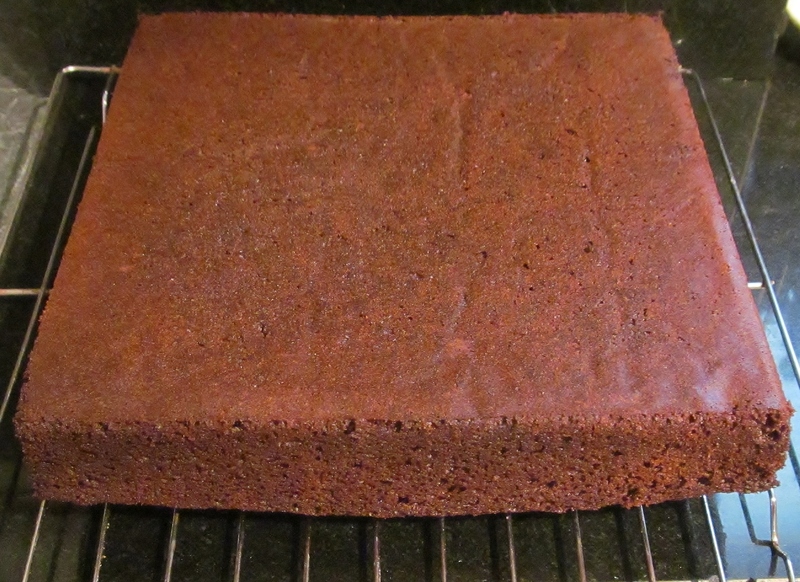 I think my oven is getting old and temperamental as from the time the gingerbread went in to the time it came out, the oven door was not opened once yet the cake sank in the middle….and no, I didn’t open the door, even the tiniest bit to check it! I looked through the window with the light on. So I turn the cake out and ice it upside down so all the icing doesn’t pool in the middle of the cake! 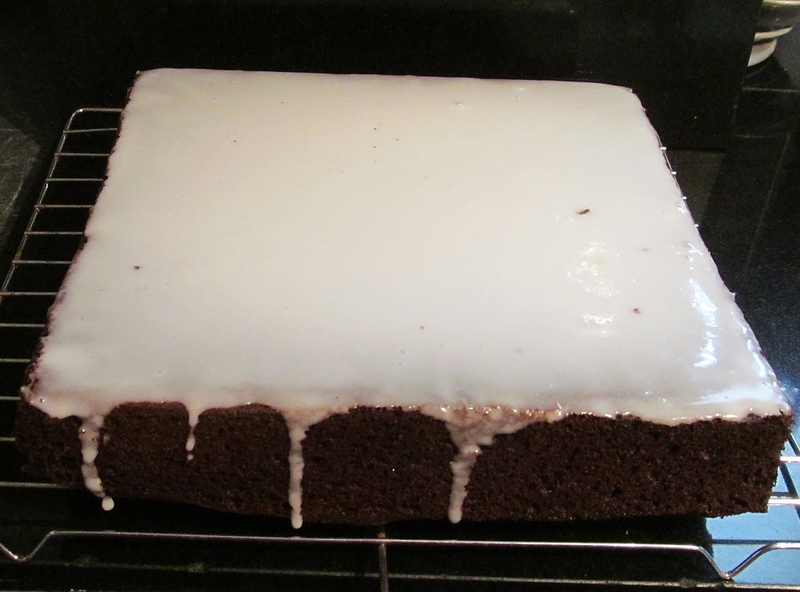 Oh and thanks to hubby, I didn’t add the chopped up stem ginger to the icing as he “wasn’t keen”!!!! The second recipe had to wait until the gingerbread had cooked as it required a hotter oven. 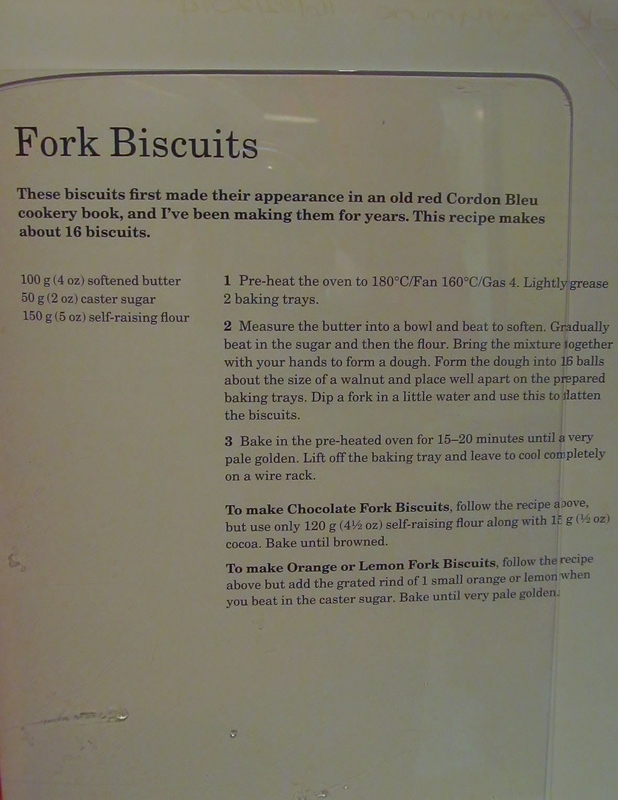 It was Mary’s fork biscuit recipe which looked quick and simple and I used her suggestion at the bottom of making them citrusy by adding some grated orange peel. The recipe was again quite simple, mix the four ingredients together, and form a dough. Divide the dough into approximately 16 walnut size balls and use a fork to flatten the biscuits. Bake for about 15 minutes. 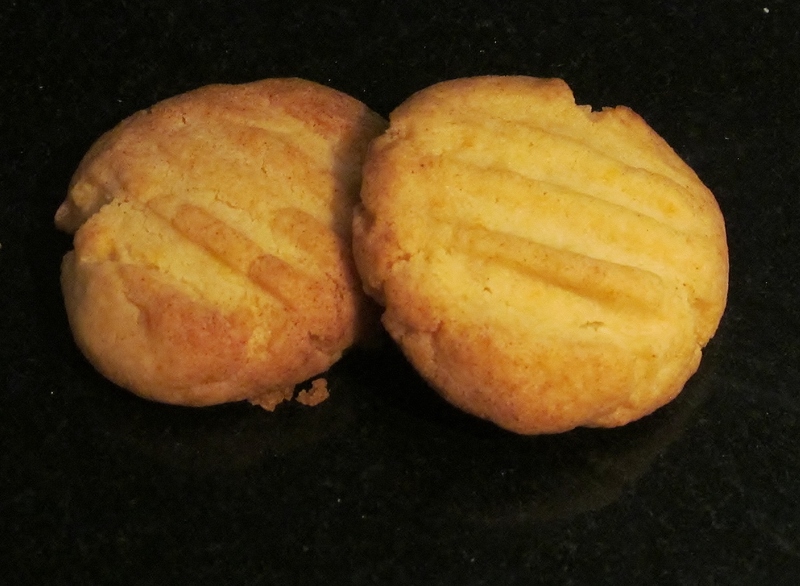 The resulting biscuits didn’t spread out as much as Mary suggests they do but they were light and quite tasty. I am keen on the Mary philosophy that they don’t all need to be the same size either to taste okay! I might consider doing these again. I am missing all my favourite programmes at the moment- no more Great British Bake Off, no more Mary Berry Cooks and no more Dr Who at the moment. Having been off for a few weeks recovering though, I have watched an awful lot of TV lately and when I list what I have watched and enjoyed recently, you will get an insight into my TV tastes…lol….so here we go…..Haven, The Mentalist, The new Ironside, Hawaii Five O, The Following, Revolution, About a Boy, Grimm……see no soap operas in sight ….. 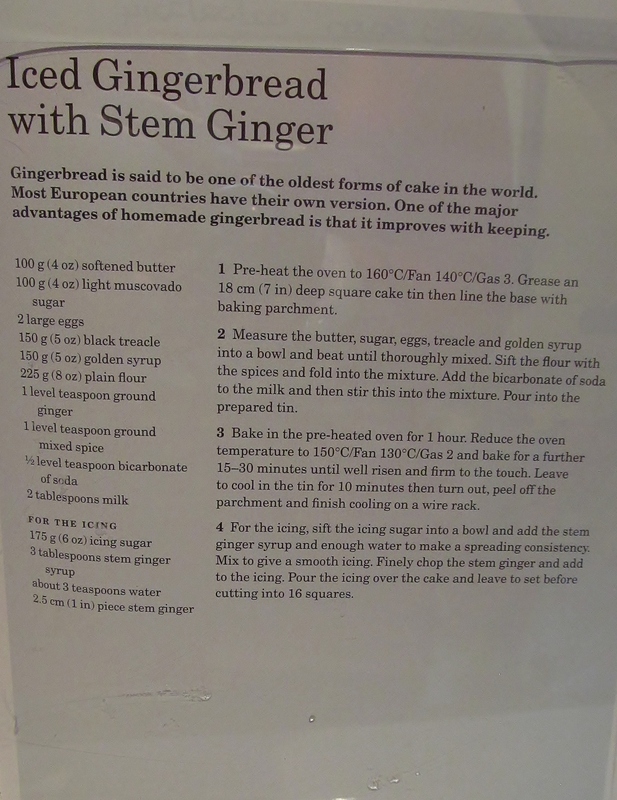 This entry was posted in Uncategorized and tagged Butter, dr who, fork biscuits, Gingerbread, grated orange peel, Great British Bake-Off, grimm, haven, hawaii five o, iced gingerbread, ironside, Kim's Cake Challenge, Kim's fork biscuits, Kim's iced gingerbread with stem ginger, Mary Berry, Mary Berry Cooks, Mary Berry's Baking Bible, Mary Berry's fork biscuits, Mary Berry's iced gingerbread with stem ginger, orange, revolution, stem ginger, the following, the mentalist by kimsideas. Bookmark the permalink.